For me summer time means vacation, and one of my best memories of summer vacation’s was going to the beach with my family. Playing with my kids in the ocean and building sandcastles was just so much fun. Now with my kids fully grown; my idea of a perfect beach vacation would be to lounge around in the sun, doing nothing but drinking a cold drink, reading a good book, taking a nap or even taking it all in as I watch the waves roll in with the tide and feel a slight breeze on my face. Yes, I am in need of a summer vacation and I’ve given this a lot of thought. Even though a beach vacation isn’t anywhere in my future this summer, it doesn’t mean it can’t be in my planner. 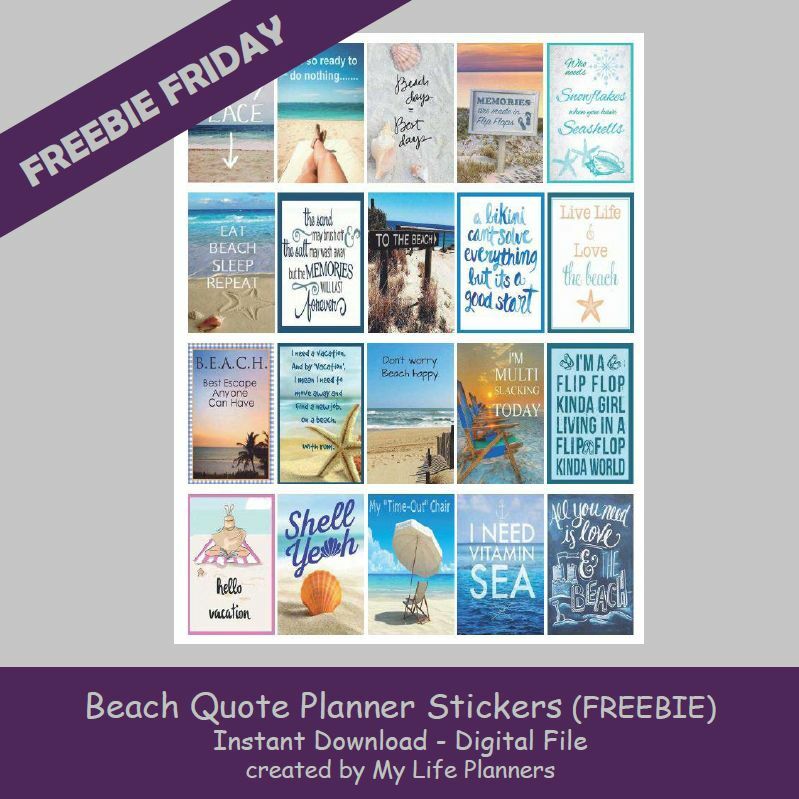 That is why this week’s feature is Beach Quote Planner Stickers. Hopefully these stickers will help keep your planner cool from the heat.